*Fervently holds to an ideology/agenda bowing to Wall St. while brushing aside Main St. So I don’t care how much we might disapprove of the Dem’s big spending, dovish defense & secularist ways, the GOP is a party not worthy of our votes! And they’re never going to hear & internalize the message they need to hear from us if we keep voting for them! As far as the big debate that dominated the news this week, President Donald Trump last year secretly signed a bill making it easier for those with mental issues to buy guns. He also said he wanted a ban on bump stocks after the Vegas shooting, but it never materialized. Even if it happens now, a bump stock ban is just a token nod showing they’re willing to do something, no matter how inadequate, to appease the GOP’s NRA donors. So we should be rightly worried about the true intent of a Trump NRA affiliation. GOP politicians also know something needs to be done to appease angry students & the public, hoping to do the bare minimum with no intentions of doing anything beyond that. 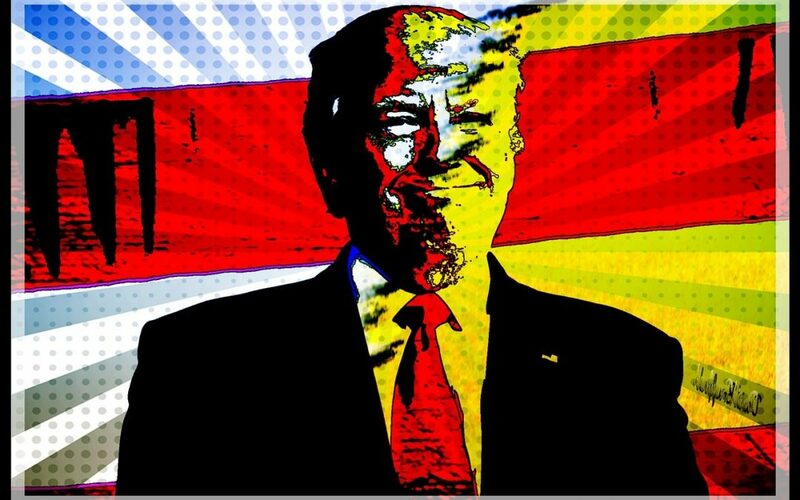 Our prez does have sway, having captured a mesmerized GOP base & causing GOP members of Congress to be mostly a rubber stamp for whatever Trump looks to do, so when he moves left on an issue to capture Dem votes, this prez is uniquely capable of getting through bipartisan legislation that has avoided us for years. But when Trump does throw out a bipartisan proposal on something like immigration, infrastructure or gun background checks, only to walk it back when his far-right flank squawks & convinces him otherwise, it makes it very hard for DC politicos to negotiate when Trump is such a moving target. Part of the NRA crowd’s position on the right to own weapons like AR-15’s, is to be able to fight back with equivalent force in case the U.S. Government comes after them. If that’s the case, they probably believe the Second Amendment also gives them the right to personally own nuclear weapons. This whole divisive debate is so ridiculous! Kids getting mowed down in our American schools have become commonplace. Doing nothing is no longer an option! There are some types of automatic weapons that should not be made available, & some people who should not be buying & owning guns…. PERIOD!!! The phony excuses spearheaded by the NRA are sickening, & Americans have grown tired of their discombobulated nonsense. The Trump NRA team may end up working against the wishes of the people. I sense this time the surviving students & families of shooting victims are having their voices heard & it’s resonating loudly among the public, to where DC is finally ready to do something! It could turn out the political penalty of Trump not pushing forward some kind of legislation will force him to finally act. It’d better turn out to be far more substantial than just banning bump stocks & far more reasonable than arming teachers. Americans are nearly unanimous in supporting universal background checks, with a solid majority wanting restrictions on assault weapons. Throughout the GOP, I believe the politics of inaction will sour the public & finally overcome the prospect of facing the wrath of the NRA. That powwow inside the White House on Wednesday was profound & along with other rallies around the country, will help spur actions on the gun issue. Whatever is agreed to may not wind up being nearly enough, but that’s better than nothing. Much like I also favor banning late-term abortions, taking that first step can help get the momentum heading in the right direction. And any politicians in the pocket of the NRA who push back on sensible gun legislation, WE SAY BS!!! Trump has expressed interest in better background checks, but based on other issues where he backtracked after pushback from the far-right, plus as this article eludes to (la-na-pol-trump-gun-history), he can never be trusted to keep his word. New York Post columnist John Crudele warns savvy investors that President Donald Trump’s strategy that his massive tax cuts would turbocharge the economy could eventually backfire. “The U.S. economy — the one and only thing that got Trump elected — isn’t doing as well as people thought just a month ago. And despite a massively dangerous gambit on cutting taxes, it isn’t doing a whole lot more than under the previous guy,” Crudele recently wrote. “Inflation is only another way of saying that the price of things is going up. And if stuff is more expensive, people can buy less of it, so economic growth suffers,” Crudele wrote. Crudele points out that he was against the tax cuts before they were signed into law. “Sure, I like more money in my paycheck. But the danger is the economy wouldn’t grow sufficiently to increase revenue enough to offset the taxes that won’t be collected,” he wrote. “If the tax cuts don’t generate enough revenue, then all sorts of bad things will happen. Government projections already say the tax changes will increase the $21 trillion federal debt by $1.5 trillion over the next decade,” he wrote. Now that historic tax reform is done, it’s time for Congress, the Treasury Department and the IRS to work through the details of implementing the new law. For Main Street employers, the stakes couldn’t be higher. As the dust settles, it is becoming clear that there is unfinished business when it comes to tax parity for American employers. Main Street businesses are organized as pass-throughs, which make up 95 percent of all American businesses, and thus they employ the majority of U.S. workers. Because income should be taxed once and only once, pass-throughs make perfect sense as a preferred way to organize a business. The pass-through is a unique American innovation, making it possible for businesses of all shapes and sizes to start, grow and thrive. They are an essential part of keeping family businesses in the family. This makes it vitally important for the newly revised tax code to support Main Street employers and not work against them. The new law gave C corporations a dramatically lower tax rate of 21 percent. Pass-through businesses, on the other hand, didn’t get a lower rate. Rather, they got a deduction that is challenging the skills and knowledge of the best tax professionals. But because of the broad brush of new enforcement rules, most Main Street businesses won’t get the full deduction. Those rules limit access to the deduction based on income, industry, employment and investment. Too much of one or too little of another, and you don’t get it. For those businesses that are able to take the new deduction, they will still pay a top tax rate that is 40 percent higher than the new corporate rate. That’s not tax parity. As is typical, the related articles here in part 3 start off with details of various economic challenges, exploring areas recently pulled off the newsfeeds that we’re facing & where we need to do much better. 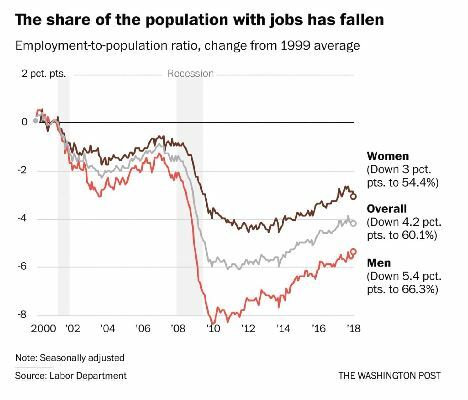 There’s an excellent article fewer-americans-are-working-dont-blame-immigrants-or-food-stamps showing stats on the disappearing jobs & where did they go, which astoundingly since the turn of the century we’re down by more than 10 million workers! Sounds like an urgent crisis to me! From there we see in the link poll-most-americans-not-getting-bigger-paychecks-in-wake-of-tax-overhaul, by a 2 to 1 margin Americans are saying they have not noticed an increase in their paychecks from the tax cuts. So we’re going to pay the future costs from substantially higher deficits, yet the rewards now are so minuscule they’re hardly enough for most people to even notice. Another article corporate-america-worries-revealing-how-badly-its-screwing-wage-slaves-will-hurt-morale reveals the extent corporate America has been basically robbing their workers. That has resulted in this depressing reason why some Americans are making more: the-depressing-reason-most-americans-are-making-more-money. So the bottom line to all this is the way workers are getting the shaft. As we approach 250 years of independence, something has gone awry—something entirely different from what the Founding generation feared. For all we hear about the divisions between red and blue America, on many issues Americans aren’t divided so much as we’re broadly aligned. Nevertheless, our constitutional democracy is proving unable to legislate commonsense solutions. In other words, Washington’s dysfunction is now upending progress even when nearly all of America embraces a certain way forward. Look, for example, at the twin challenges of immigration and border security. A new No Labels Poll conducted by Harris Insights & Analytics found that more than three in four Americans support a grand bargain that saves the Dreamers and protects the border. Eighty percent of Independents support it, along with 73 percent of Democrats and 68 percent of Republicans. In others words, legislation currently adrift on Capitol Hill has no major electoral opponent—and yet Congress still can’t get it passed into law. In the late 1700s, as America’s founding generation debated how to shape our system of government, they anticipated disagreements among the American people. They knew that class-oriented concerns and economic disparities would drive Americans to support divergent agendas. So they created a system that forced everyone to the table. What they did not anticipate—and what we face today—is an entirely separate challenge. Even when the nation is broadly united, Washington struggles to get something done. We cannot let our democracy continue to unravel. We face too many challenges to let dysfunction prevail. We need to find a different way of getting the results the American people deserve. Our leaders need to prove that they can forge real solutions even amid the wrangling that’s endemic in politics. On the Dreamers and border security, they have an opportunity now to get things right. Congress should seize it and build on that success. We try to match up classic hit songs with current headlines…. The Russian scandal is always in the headlines, plus the news was dominated this week over the gun debate in the aftermath of the Florida school shooting. 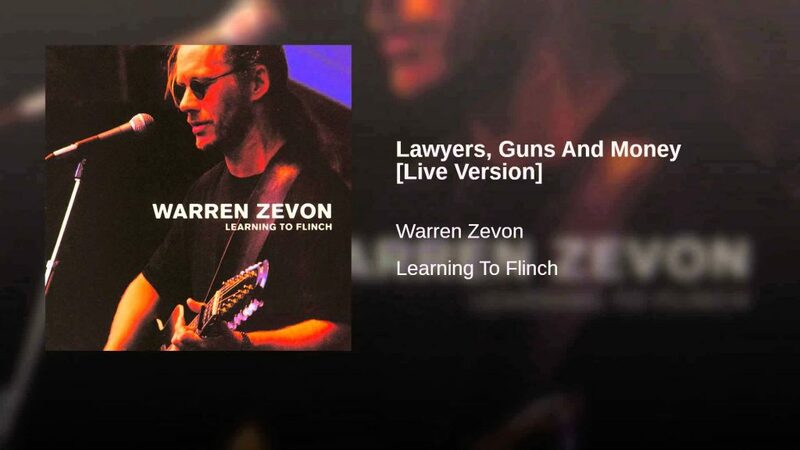 So any song about Lawyers, Guns & Money would seem to fit the news these days. And as Trump might be trying to claim in the midst of Trouble: How was I to know, she was with the Russians too. Yes, I’m down on my luck….